Gwenfair Parry, ? , Vanda Budsji (Queen), (? Goodwin), (? Goodwin / Emma ? ), ?, Dylan Rowlands, ? 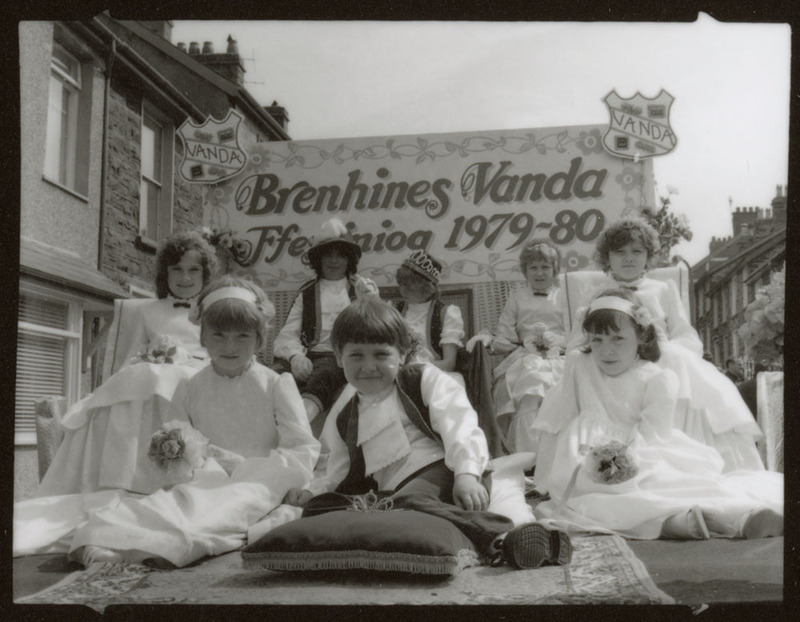 As part of the National Library’s Outreach in Blaenau Ffestiniog photographs from the library’s collection taken by Gwilym Livingstone Evans of Blaenau Ffestiniog are being re-visited, and we want your help to add information to the images. A handful of images are being released through People’s Collections Wales to ask for your help. The carnival in Dolafon, 192..?